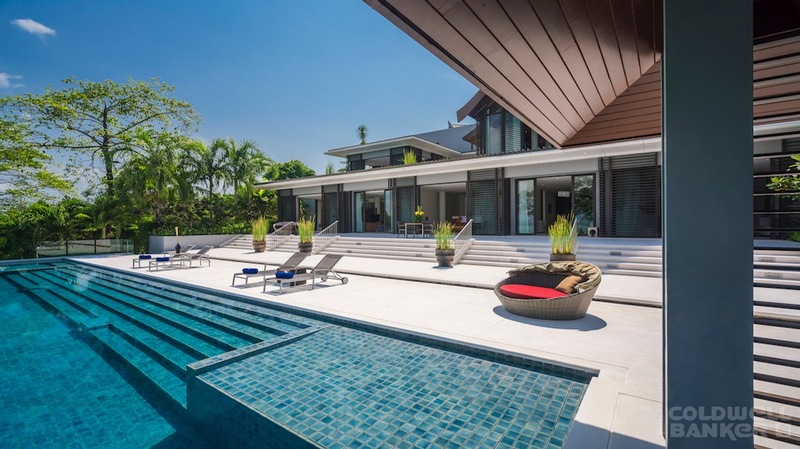 A sleek, contemporary take on traditional Thai design, a huge infinity-edge pool and sublime sea views define this spectacular five-bedroom private villa in exclusive Cape Yamu on Phuket’s east coast. 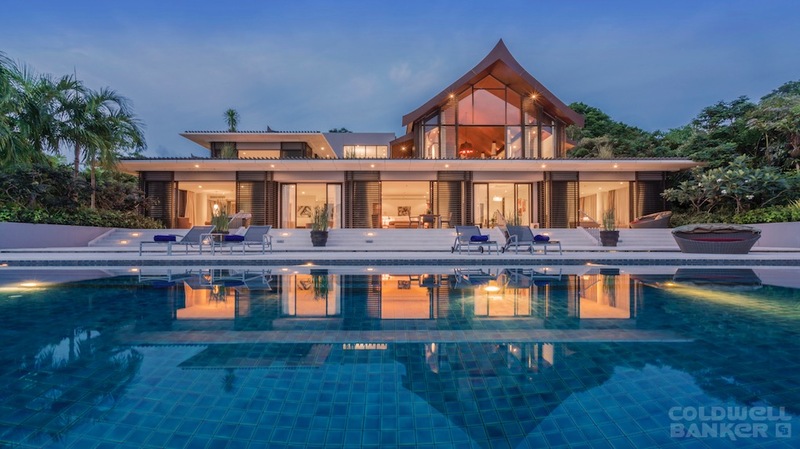 the Villa elegant, spacious interiors, split-level sun terraces, lush hillside garden and superb amenities make this enchanting villa the perfect holiday choice for an unforgettable Thai experience. 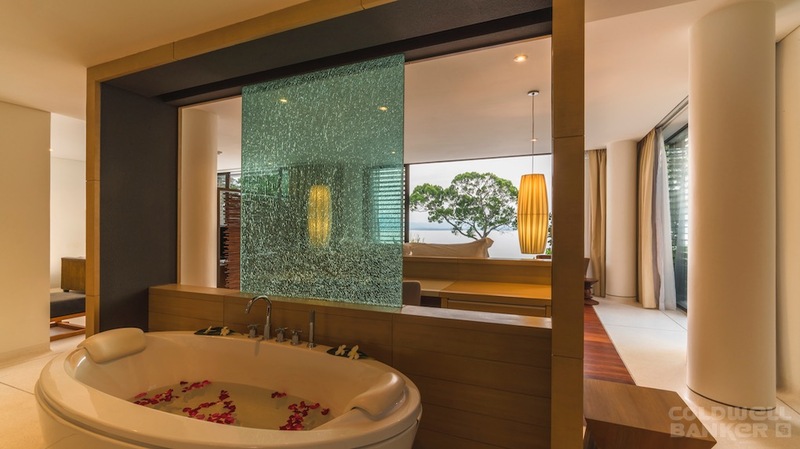 Natural earthy tones, whitewashed walls and rich teakwood features combine to create a fresh, soothing ambiance. 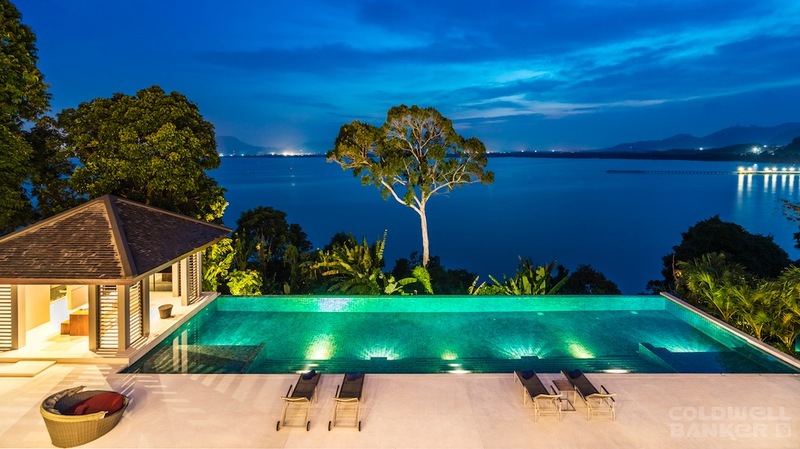 Interior spaces are bright and airy with subtle accents drawing attention to the sweeping views over Phang Nga Bay, lit by a soft pink light at sunrise. 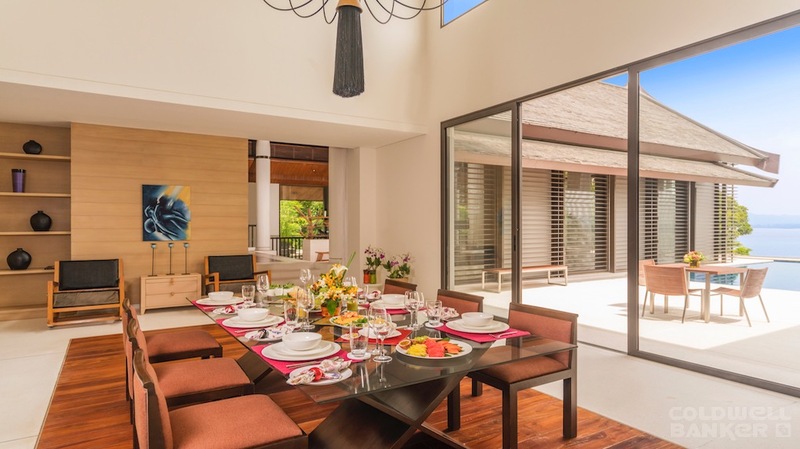 Soaring timber ceilings in the palatial living pavilion enhance the sophistication and elegance of this luxurious villa. 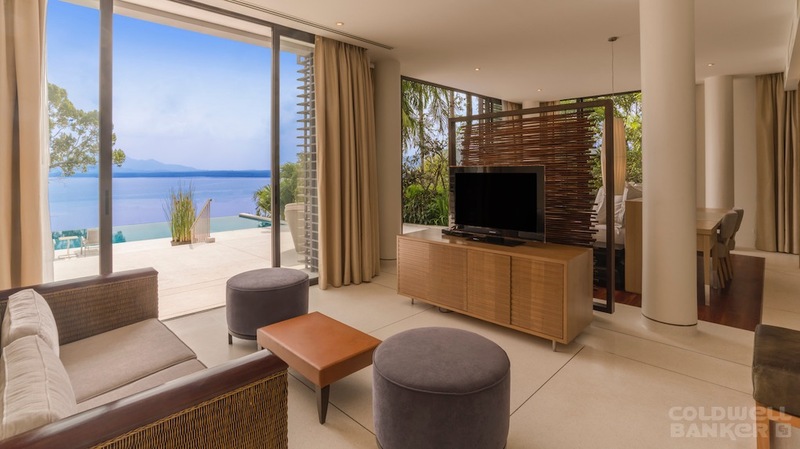 Outdoor bliss is extended through floor-to-ceiling sliding glass doors revealing lush tropical surrounds and an endless emerald sea. 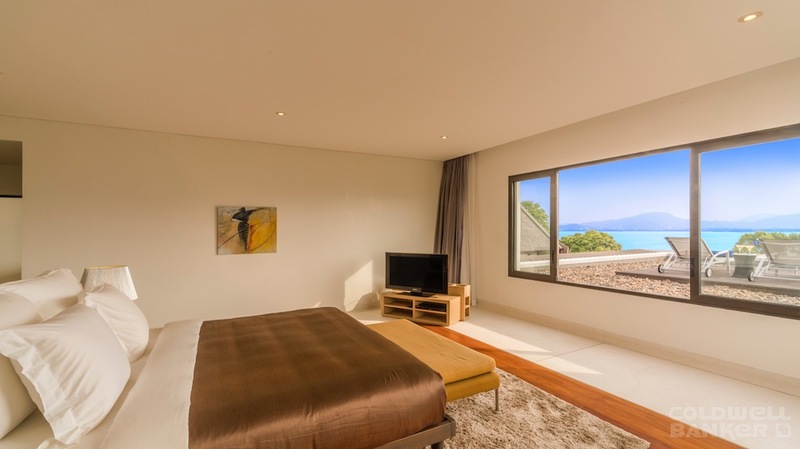 Peaceful sleep comes easily in this Villa five comfortable ensuite bedrooms, all of which have sea views and are furnished with queen-size beds dressed in crisp white linens. 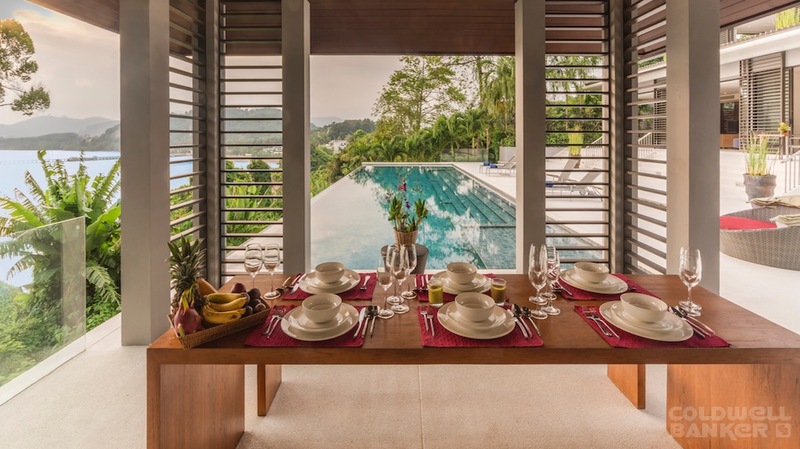 Multiple living and dining areas with deep terraces and verandas present ideal places to gather with loved ones, while a poolside dining pavilion edged with tropical shrubs and palms is perfect for romantic candlelit dinners. 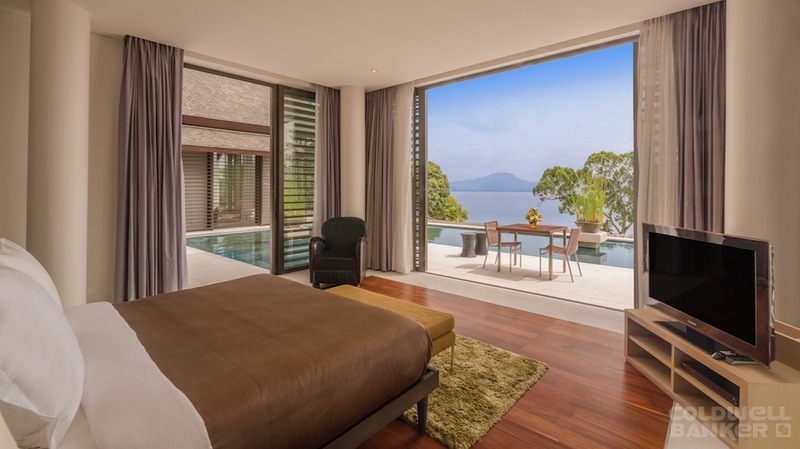 Snuggle up with a favourite film in front of the 70-inch screen in the villa’s private cinema room, or take a refreshing dip in the sleek 22-metre infinity pool. 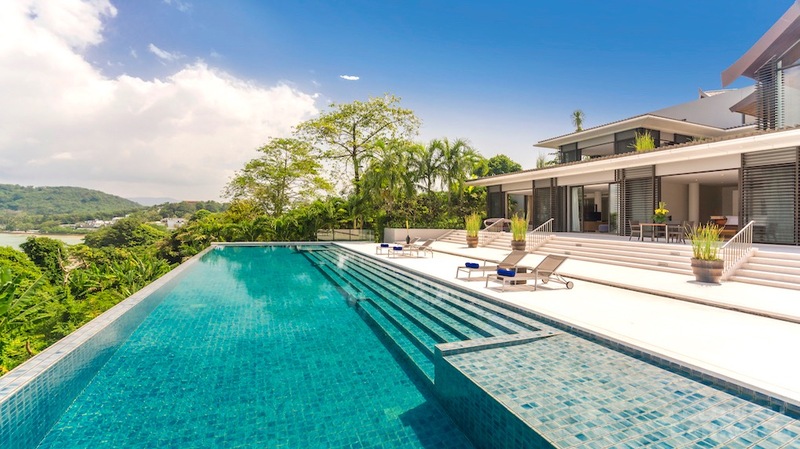 With its stunning architecture merging stylishly into the lush hillside gardens and ocean panoramas, the Villa dazzles the senses and warms the heart. 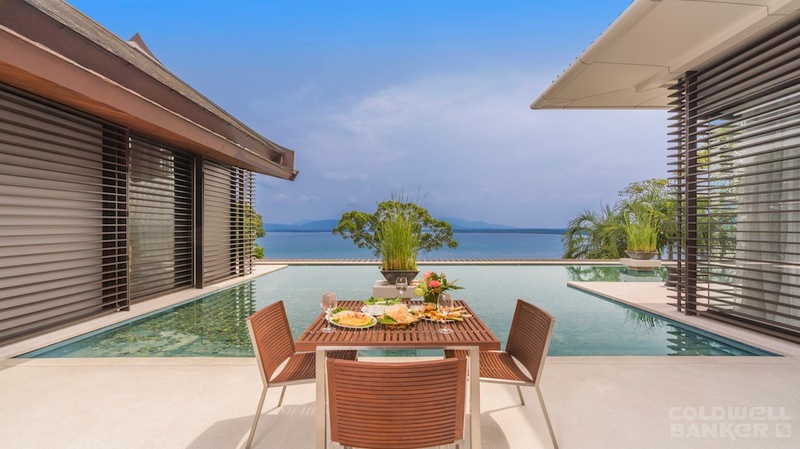 To crown this luxurious Thai villa experience is impeccable service from a team of welcoming staff. 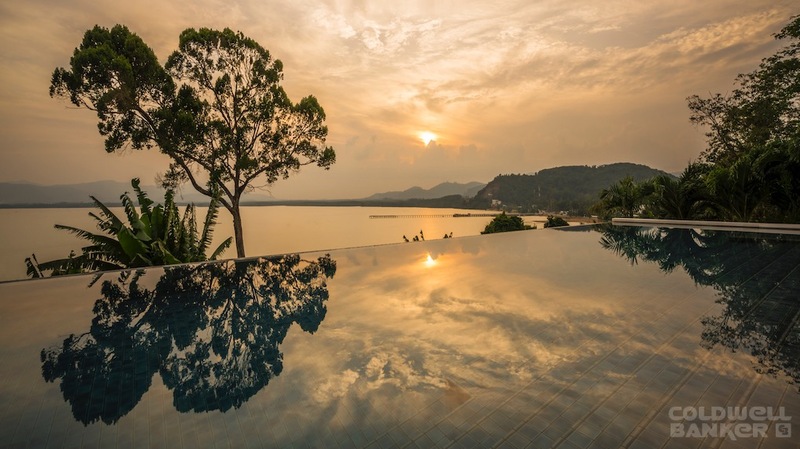 The villa’s professionally trained chef whips up mouth-watering Western and Thai style dishes; villa attendants take care of housekeeping and meal service, and a knowledgeable manager oversees the team and makes sure that every guest’s need is catered for.